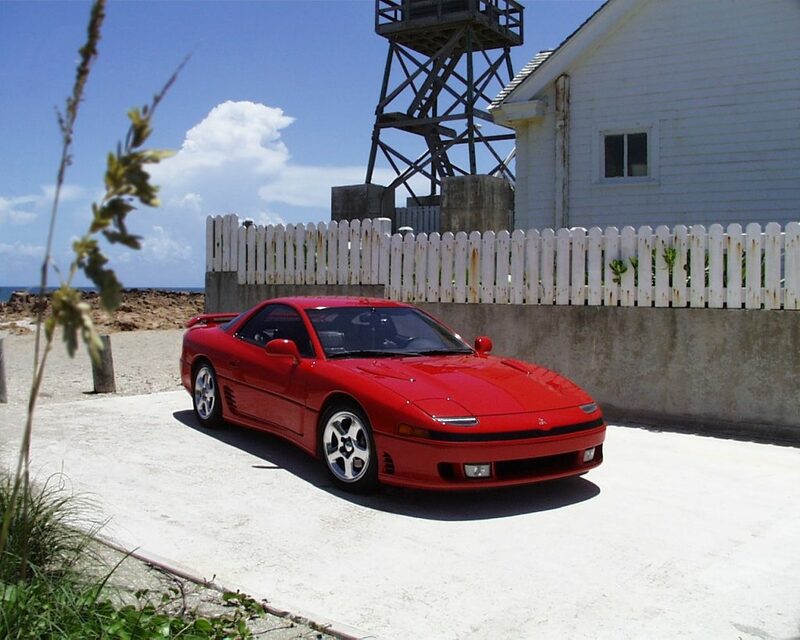 Mitsubishi 3000GT – sports car of a class GT of the Japanese company Mitsubishi Motors. Produced from 1990 to 2000 year. In the domestic market of Japan was known as the Mitsubishi GTO. For North America, the car was pre-assembled by the corporation Chrysler and was named Dodge Stealth. After successfully showing the Mitsubishi HSR and HSX concept cars in 1989 at the Tokyo Motor Show, Mitsubishi developed the new GTO as a technologically advanced coupe sports coupe to compete with the Honda NSX, Mazda RX-7, Nissan 300ZX, Skyline GT-R, Subaru SVX and Toyota Supra. 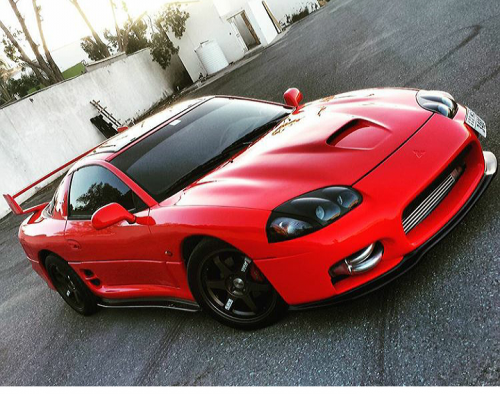 They revived the name GTO, and the car continued to produce until the end of the decade. In the first generation Mitsubishi used its most modern technology, such as four-wheel drive, four active wheels, active aerodynamics involving automatic adjustment of the front and rear spoilers and electronic suspension control (ECS). On Dodge Stealth there was no active aerodynamics. In the engine model 3000GT there were four camshafts, two turbochargers with intercooler and multi-point injection of fuel into the cylinders. The second generation of the model differs from the first, primarily on the modified front and rear bumpers, as well as on the side air intakes. The interior was also redone, there were 2 airbags, a new audio system and air conditioning. The twin-turbocharged engine received a slight increase in torque from 416 Nm to 427 Nm. In addition to this, the VR-4 began to be equipped with a six-speed manual gearbox Getrag. The SOHC engine, previously available only in the Dodge Stealth base version, was installed in the Mitsubishi model, after which Dodge Stealth was removed from production. In 1999, the car received partial exterior transformations, including a new front bumper, headlights, and turn signals. 1999 was the last year of 3000GT, when it was available in the US market.